Benjamin Britten’s War Requiem is one of the most enduring works of the last century, combining words from the Requiem Mass with Wilfred Owen’s powerful poetry describing his experience in the First World War trenches. 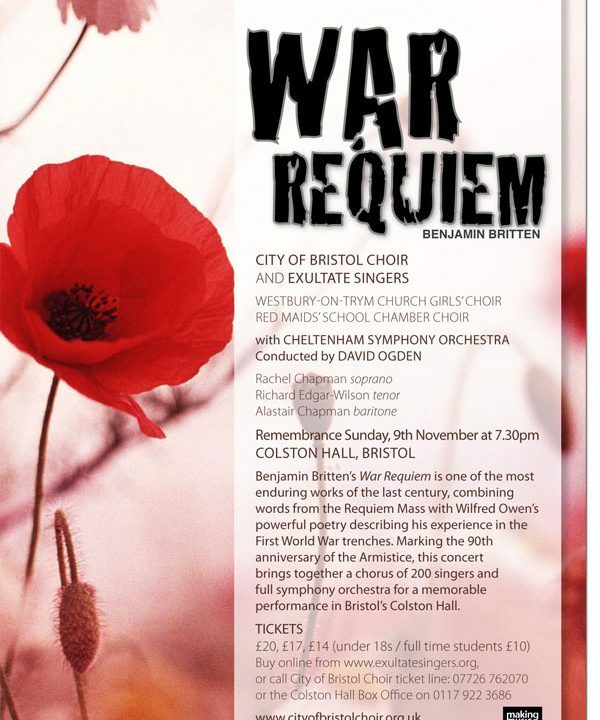 Marking the 90th anniversary of the Armistice, this concert brings together a chorus of 250 singers and full symphony orchestra for a memorable performance in Bristol’s Colston Hall. There will be a collection in aid of the Royal British Legion’s Poppy Appeal.